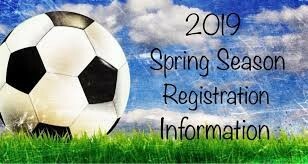 2019 Spring Soccer Season Registration is OPEN for all of our programs! Updated Monday November 5, 2018 by Joe Camarda. Please register your child befor the fall season is over.